Home Blog What Everyone Ought to Know about June Things to do in London? This year June things to do in London have royal events and outdoor festivals, as the weather is warm. There are some unique occasions and events going on in June which can be enjoyed by everybody. 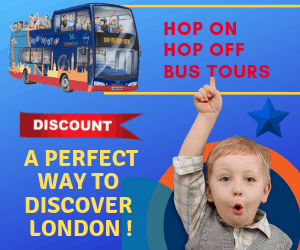 Trying to give your whole family a fabulous remembrance throughout a stay in various luxury accommodations in London is not usually easy but knowing about June things to do in London Information it ought to be easy. 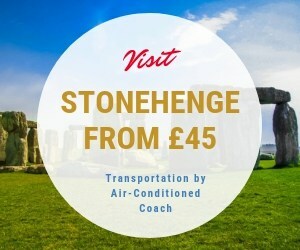 While London has a wide selection of outstanding attractions that people might enjoy at any season, like the London Eye or even heading upon sightseeing and tours in the city, there are some unique occasions and events going on in June which can be enjoyed by everybody. This year June things to do in London have royal events and outdoor festivals, as the weather is warm. The events calendars packed with free entertainment, festivals, sporting events and more. Things come alive in the UK during the month of June and are the best time to visit. This is the time to go exploring the green open spaces and parks, stop over for a beer and great food at the pubs and beer gardens while enjoying the outdoors. Book yourself the perfect stay in some of the best but affordable hotels in London. Come celebrate the Queen’s official birthday with a magnificent military display as they parade their Trooping Colours. This you can see taking place in Central London. While here, head over to the Mall for an amazing display as the tree-lined royal road, leading to Trafalgar Square to Buckingham Palace comes alive with ceremonial events. Further, you can watch the Household Division’s Beating Retreat and the State Opening of Parliament or even the Changing the Guard. There are plenty of things to do in London during June as you can stroll through hidden spaces, gardens and more during the Open Garden Squares Weekend taking place from the 17th to 18th June 2017. June is a month long feast as there are loads of foodie events taking place throughout the city. Visit the London Food Month that takes place until the 30th June 2017. Visit a master class and use this time for great food specials. This is the time to enjoy great food at the Taste of London festival in Regent’s Park from the 14th to 18th June 2017. Here you will find the top chefs showing off their culinary skills and they serve up a delicious food you can enjoy. Then there is the London Wine Week where you can enjoy great wines on display. The Underbelly Festival takes place right through to the month of September. Enjoy from drinking to eating at the festival taking place in South Bank. Here the entire family can enjoy different activities as they have joined hands with the London Wonderground festival. June things to do in London presents you with different musical shows such as the West End Live cast at Trafalgar Square or visit one of the many London top music festivals taking place during June. As you are here in London, there is two annual festivals the Greenwich plus Docklands festival with free outdoor theatre. The Pride in London is a huge parade that takes place throughout Central London. There is the Hockey World League Semi-Finals at the Queen Elizabeth Olympic Park. In addition, do not forget to treat your dad this coming Father’s Day. Next article18 Best Travel Tips London That You Need To Know Before Travel!